Haig a few days prior to his execution requested a dress rehersal of the event as he did not want anything to go wrong. Request denied! Nothing ever went wrong with Albert Pierrepoints work. I think it’s pronounced Hay, but I can’t swear to it. I think his inclusion in the book has to do with the diabolical aspect of the murders and what he did with the bodies; and, like Theodore Bundy, he did not look the part. All of this made for odd viewing. A monster in a very nice suit, LOL! Haigh was a monster, but he was NOT one of the world’s worst murderers. Not even close. Does anyone know how his name is pronounced? Is it like high, or hay, or maybe hayg? In the summer of 1972 I visited madame Tussauds in London. 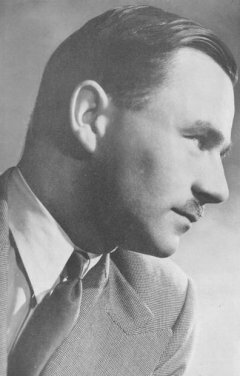 Towards the end of my tour, I came face-to-face with John George Haigh–or his identical wax figure–, and he was wearing the same suit Haigh had worn in the trial. I know it was the same suit, as I inquired of the management. I had first learned of Haigh when I read the book, THE WORLD’S WORST MURDERERS, when I was but a lad of ten.